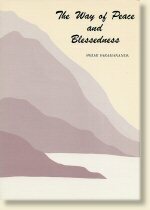 The Blessed Lord's Song: translation of the basic text of Indian spirituality. 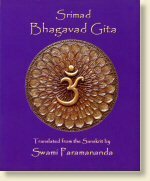 Considered the "Bible" of Hinduism, the Bhagavad Gita contains the essence of India's practical spirituality. It is a must for anyone interested in Eastern Teachings. The philosopher, Lin Yutang, chose Swami Paramananda's translation to include in his anthology, The Wisdom of China and India because "I believe, more than the others, it shows that mastery of the languages and that profound understanding of the thought content, so that the result is, as it should be, an easy effective and mature version, without either the cumbersomeness of the scholarly or the sureptitious paraphrasing of the over-introspective." This pocket-sized edition is small enough and sturdy enough to carry in pocket or purse. Translation of the Isa, Kena, Katha and Mundaka with commentary. 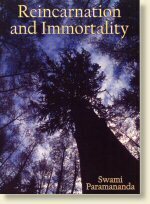 From the Foreword: When students in ancient India sought to learn the meaning of life and their own real identity....they retreated into the Himalayan forests and apostled themselves to a seer, a person who knew the Truth from his own direct, inner experience. 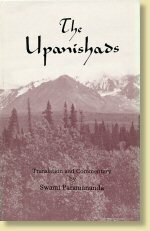 The wisdom thus transmitted from the enlightened teacher to the questing disciple was later distilled and recorded as the Upanishads, the fountainhead of India's perennial philosophy......Swami Paramananda's penetrating understanding, the fruit of his own realization, makes these Upanishads accessible to the modern English reader with the same simple force which quickened the Indian seeker of millenia ago. 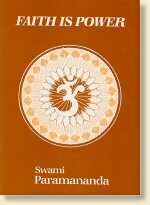 Swami Paramananda wrote four volumes of mystical poetry which are lofty, inspiring and visionary. 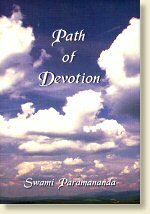 From the Foreword: A mystical poet of rare ability, this is the third volume of Swami Paramananda's poetry. These poems contain for many the very essence of his teaching, conveyed through the medium of pure beauty of expression, a beauty that was brought out very poignantly when he read the poems aloud. 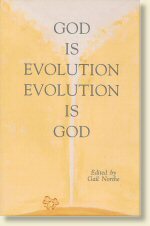 This book has become a classic around the world because it offers timeless spiritual guidance and inspiration. 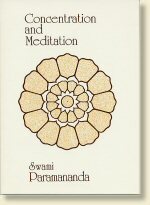 This new edition returns to Swami Paramananda’s and Sister Devamata’s original text in a fresh, beautiful presentation. 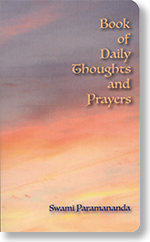 Prayers, guidance and lessons to start each day of the year with themes of practice for each month. From the Preface: Throughout the 365 days of the year it gives guidance or stimulus, comfort or admonition, sustenance or insight to the genuine aspirant who seeks to practice his or her religion, whatever that may be, in his or her daily life. Each page, containing a salient thought, a poetic verse, a lesson, and a spontaneous prayer, testifies to the author's inspired life and teachings. 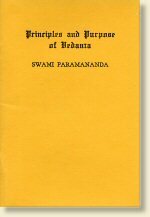 Concise explanation of the Vedanta philosophy including its origin, conception of God, the Law of Karma, reincarnation and the four Yogas. From the Introduction: Truth stands, not in vain assertions or imaginations, but on the testimony of wise Seers of all ages and climes. Therefore, however vague or dim an ideal may become, it cannot die, but reveals itself again and again through the mighty characters, who seek the realization of the Real. Ten guided meditations including a meditation of life, of light, of joy, of love, of wisdom, of peace. 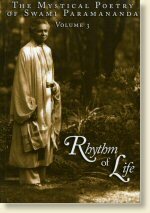 From the 1st Chapter: There is nothing so potent as meditation to re-establish our rhythm when our mind is tossed by the waves of unruly thought. There is no ill in life that cannot be cured by meditation. True meditation purifies our mind and clarifies our vision. True meditation gives us, as it were, wings for flight to a higher realm and thus detaches us from terrestrial fetters. It is through the habit of meditation we overcome all our sorrows and afflictions. 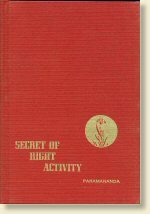 A guided meditation and ideal standard illuminating Right Thought, Right Speech and Right Action. 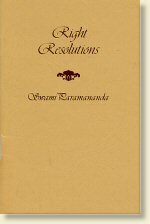 From the 1st Chapter: I shall begin this day with the resolution that I may in every way make myself an open channel for God's love to manifest through me. I shall begin this day with the resolution that no matter whatsover obstacles may arise before me, I shall try in every way through my thought, word and deed to overcome them. I shall begin this day with the resolution that I may not hurt any living being with my thought, word or deed. I shall begin this day with the resolution that all my thoughts, words and deeds be constructive, helpful and productive of great good. I shall being this day with the consciousness that I am a distinct part of that One Who is all wise, all powerful and all loving. 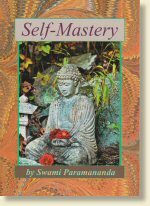 A classic of spiritual instruction based upon letters to Sister Devamata by Swami Paramananda centered on devotion, purity, steadfastness, fearlessness and self-surrender. The companion volume to The Path of Devotion with instruction in the worship of truth, the path of the spirit, the consecrated life, trust in the Divine, the service of the Ideal and purity of heart. Helen Keller, upon reading a Braille copy of the book, exclaimed, "Oh, this book is my creed!" The key to concentration, the power of concentration, aids to meditation, superconscious vision, groundwork of thought and practical hints. From the First Chapter: The faculty of concentration is innate in every living creature. Among animals, we see a lion or tiger gathering his strength by a moment of absolute stillness before he springs upon his prey. That automatic, instinctive power we all possess, but with the majority it is not cultivated, and we never shall have the full use of it until we gain conscious command over our mental and spiritual forces. The constructive force of faith, faith and self-reliance, power of faith, faith and superstition and trust in the Divine. From the First Chapter: Let us be silent and full of faith so that we can hear God's voice. This turbulent mind of ours plays havoc with us. It has power to create and also to destroy. It is one of the most potent instruments we have. We can so train it that it will be free from suspicion and doubt, full of trust in the Divine; or we can make it so unruly that it tears everything to pieces, even the most beautiful. Addresses the age-old questions about whether individual life continues after the event that we call death and what the life beyond is like. 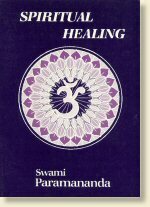 Swami Paramananda illuminates the differences between fate, destiny and the harvest field of life based upon a clear understanding of the Law of Karma, the Law of Cause and Effect. He also gives guidance on overcoming the fear of death. 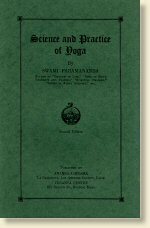 From the Booklet: As physical science strives to demonstrate the laws of the material universe before it accepts them, so the science of Yoga seeks to prove the laws of the spiritual world. The one is the science of the seen, the other the science of the unseen. The aim of both is knowledge, but the processses employed necessarily differ. Secret of right action, religion of work, duty and service, right thinking and right living, the value of non-attachment, work and renunciation and the spirit of consecration. From the First Chapter: The secret of right action in reality is not a secret........The secret lies in our own motives, in our power of application. It is not the strong physical vehicle which makes the productive human being; it is skillfulness in action, knowing how to adjust ourselves quickly, how to perform a task with the least expenditure of energy. This is what gives immediate success. Control of body and mind, conquest of our lower nature, how to conserve our energies, self-help and self-surrender. From the First Chapter: The thirst for happiness is a common instinct in all humankind; but everyone does not possess the secret of aquiring it, nor the power to retain it when it comes. This requires both wisdom and endurance. The practice of silence has been an important part of spiritual life always. Interior silence even more so. In all religions and in all times, silence has played a vital role. 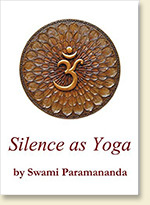 In this book, Paramananda introduces us to the creative power of silence as it leads to the Light within each of us....the Eternal Presence. From Chapter Four: When we are disturbed by our association or environment, if we are able to practise silence, that is, detach our thought wholly from the distracting condition and hold it firmly on some higher thought even for a few moments, it will restore our equilibrium, we shall be lifted out of the condition and feel as if we had been bathed in fresh clear water.....How can we hope to hear the subtle voice of the Spirit as long as we are listening to all the noises of the world? Control of breath and healing, the source of healing power, healing of body and mind and healing in meditation. 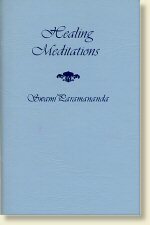 From the Foreword: Drawing knowledge from his background of Vedanta and Yoga philosophy, as well as his own personal experiences of many years, Swami Paramananda confirms the faith of the reader in his ability to free himself from affliction, ill health and decline of body or mind by the most effective, practical methods. Spiritual practice, right discrimination, building of character, power of concentration and self-realization. 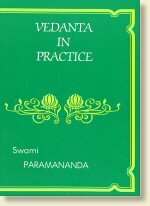 From the Preface: The aim of this book is to show us how to avail ourselves of the great principles of Vedanta, so that they will become part of our daily lives; to teach us how we can put them into practice and live by them every moment of our existence. 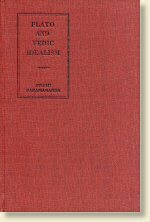 Published originally in the Vedanta Centre's monthly magazine, The Message of the East (1912-1961) covering such topics as rebirth and evolution, the great law of justice, morality and spirituality, thoughts on Vedanta, cosmic consciousness and the practice of the Divine Presence. The value of comparative study, Christ of the East, the spirit of Christ, universal tolerance, practice of the Christ Ideal, Christianity and Vedanta. 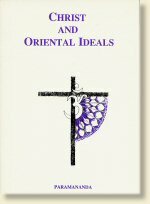 From the First Chapter: Our object in surveying the world of religion and making a comparative study of it is not in any way to prove the supremacy of one religion over another, but to find a sympathetic chord which may serve as a common synthesis for all. Karma and compensation, the Atman and the Over-Soul, Emerson and Hindu classics. 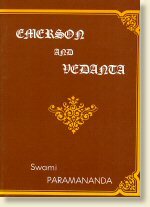 From the Foreword: Swami Paramananda traces in Emerson's thought the eternal, universal principles expounded in the ancient teachings of the Vedas. By seeing these parallels, we are helped to understand not only our own philosophical heritage, but also those vast Truths upon which they are rooted. Greek philosophy and Indian thought, conception of soul and its immortality, Platonic myths and Vedic parables. From the First Chapter: It is the natural instinct of every human being to inquire; but the method of inquiry varies according to individual tendencies. Some try to find the cause of creation exclusively in external phenomena, others seek it in internal nature; but every system of philosophy without exception is the outcome of this search, whether directed to the inner or to the outer realm.